LAMARCK’S EVOLUTION: two centuries of genius and jealousy. 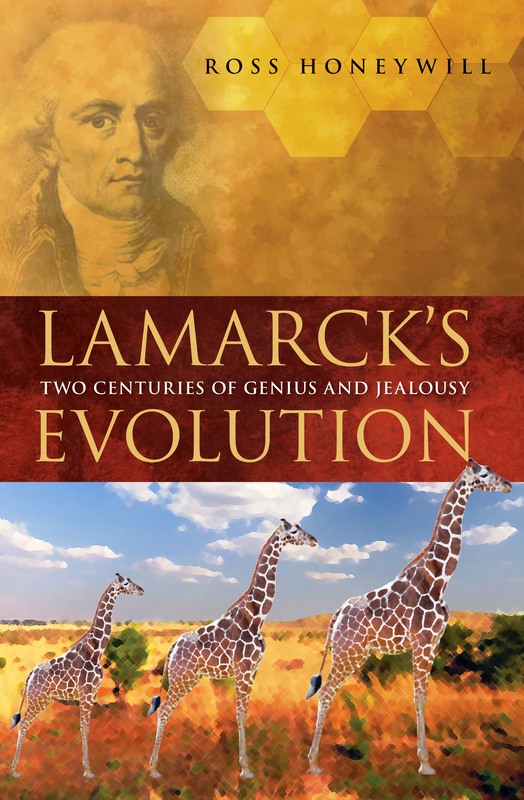 Welcome to the site dedicated to the new book Lamarck’s Evolution: two centuries of genius and jealousy. This site gives you glimpses behind the covers of the book . Enjoy the process with me, the author, take a look at the content PAGES listed on the right, and enjoy the journey. Before Darwin, Jean-Baptiste de Lamarck created the first theory of evolution, an idea so powerful it promised to become the great unifying force of science. Instead, for two hundred years Lamarck’s grand idea polarised the scientific establishment and became a byword for discredited beliefs…until, on the eve of his bicentenary, science finally caught up and proved him right. With a narrative as lively as fiction, this is the true story of Lamarck and his hard-won legacy. It is a tale of mavericks, knaves and heroes, of brilliant men and the triumph of truth. This is the story of Lamarck’s own travails in treacherous times and of the Australian scientist Ted Steele who, almost two centuries later, would decode the evidence and put Lamarck back on the world stage. It is a story of the tilting at the windmills of history by unstoppable spirits who said they could change the course of history, and did. This is a roller-coaster ride of intelligence, stubborn vision, belief and despair that begins with a new ending and ends with a new beginning. Ross Honeywill is an internationally published author and social philosopher. He specializes in evolutionary influences on social and consumer behaviour. Lamarck’s Evolution was launched at the 2008 Melbourne Writers’ Festival with Ross Honeywill in conversation with vertebrate palaeontologist John Long and Nobel Laureate Peter Doherty.